Dealing with debt is stressful. Avoiding calls from creditors and having scary letters sent to you, with threats of the sheriff showing up is no way to live. Scientists tell us that stress leads to all sorts of health issues and is incredibly bad for you. If you owe people money that you are struggling to repay each month, then you know all about that. 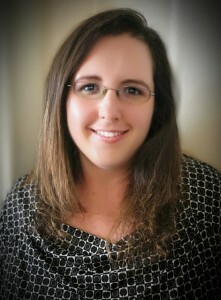 Sleepless nights, a feeling of dread and even panic attacks are common among those with debt. Stress about debt can also make you more likely to fight with family and friends. 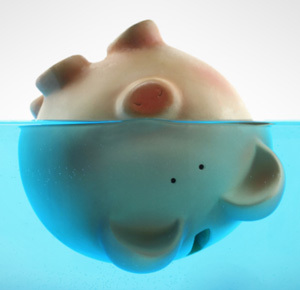 Debt stress has also been shown to reduce workers productivity which puts your job at risk. All in all, debt stress is just plain bad for you. Many people with debt mistakenly think that the answer to their situation is another loan, more borrowed money to throw at the debt problems you already have. It is much better to face your debt head on and find a way to live debt free. If you have already reduced your spending and can’t earn more, but still struggle to repay your creditors, then the good news is that you still have options which can help – like debt review. Getting rid of your debt will help you relieve the stress that is so bad for you and for your family. Less debt means less stress. Less stress means you can look forward to waking up each day, going to work and spending time with your family and friends. If you are experiencing debt stress, then now is the time to act. Don’t waste time. Start your journey to living a debt free life. You will find it brings great peace of mind. 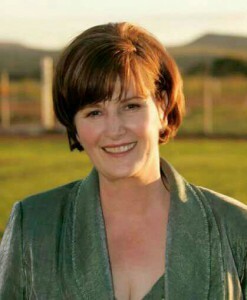 Lynette Claassen Debt Councelling (Pty) Ltd negotiates with your creditors and combine the payment of your outstanding debts in one monthly amount. Debt Counselling is based on the National Credit Act (Act 34 of 2005) that came into effect on 1 June 2007. The cause for the new legislation came from Consumers that applied for Credit, but could not manage it. Creditors (banks, loan agencies, shops etc.) approved credit very easily, and basically any person and every person could obtain credit. Unfortunately many people misused and abused this privilege, and had no intention to repay their debt. And then there were the consumers who were unable to afford the debt, from the start. More and more people made debt to pay for their deb People used their Credit Cards and loans to pay their debt (Borrow from Peter to pay Bob). The result was a deadly spiral where people ended deeper and deeper in debt every month. Creditors were by no means innocent, and they ruthlessly extort consumers, even today. Ridiculous monthly payments are requested with exorbitant interest rates. That is why new legislation and laws had to be put in place, to curb this deadly spiral… in both directions. Debt Counselling (or Debt Review) is a voluntary process. You are at any stage allowed to start the process or to stop the process. However, Debt Counselling is a “One-time Opportunity”. This means that you are not allowed to apply for Debt Counselling in January, and then cancel it by October, only to re-apply the next January after a Christmas season of spending and “max-ing” out all of your accounts again. Debt Counselling is a “negotiation process” that is followed within specific guidelines and by properly trained and registered debt counsellors or practitioners. We investigate and look at your affairs in very intricate detail. Then we negotiate with the Creditors to try and make your life a little bit easier, but still repay the debt that you incurred. At the end of the day it still remains your responsibility to repay your debt in full. 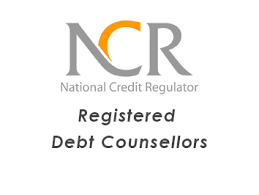 Debt counsellors are under the strict control of the NCR (National Credit Regulator) and we work according to rules and regulations. Unfortunately there are scoundrels in the industry, so please ensure that the debt counsellor you choose is properly qualified and registered. It does not matter if you work for yourself or if you earn a salary from an employer. Your bank statements simply have to indicate that you earn a monthly income that can be applied partially towards your debt. 2. You have to make the decision (and then stick to it), to change your financial situation, for the better. We will fight to the end of the earth for you, but we need your cooperation. Yes, it is going to be a tremendous adaptation for you, and each and every day is not going to be the best day of your life, that we will tell you honestly and straightforward… but it will get better. The most difficult time is usually the first 6 months, because that is the time during which we negotiate, and also this is the time during which you have to adapt to your new budget. We begin with setting up a Budget for you. We consider your current living expenses, as well as your debt obligations. Then we try to find the golden mid-way under which you can survive, but also commit to repaying your debt. Your budget will be divided into your living expenses and your debt obligations. Living expense are those costs that have to be paid every month, irrespective of what happens. Typically here we take into account your rent, transport, cell phone, insurance, groceries, medical aid, rates & taxes and electricity. Debt Obligations refers to the costs that you agreed to pay on a monthly basis, for which you have already received the product or services. Typically here we take into account your home loan, vehicle payments, credit cards, overdraft facility, clothing accounts, personal loans and any other monthly accounts. We register you on the NCR (National Credit Regulator) system. This means that any person that draws a credit report on you, will be able to see that you are under Debt Review. This means that while you are under Debt Review, you will not be able to obtain any further debt. Please, even if the temptation is very high, please refrain from making any more debt. It is a direct violation of the National Credit Act to enter into any new Credit Agreement while you are under Debt Review, and it is enough grounds for you Creditors to immediately cancel you Debt Review. This is the system that we use for Debt Review. It is generally accepted and supported by most Creditors. Next your Creditors have to answer back with their particulars regarding your accounts. They confirm your full name, ID number as well as your account number. They also confirm the outstanding balance, the interest rate charged as well as any other costs charged. They also indicate the current monthly instalments that they require. It is usually at this stage that you as the consumer will see what your monthly service fees amount to and what you are paying for credit life protection. The monthly fees are not so much our worry, but the credit life protection is. This is usually a shock and a wake-up call combined. Creditors are allowed to levy credit life protection on any account where credit is provided to you as a consumer. It is the most expensive type of insurance. Our main concern here is the asset value of the credit life protection. While your account is active, should anything happen to you that cost you your life or your employment, then the insurance kicks in. The debt is usually paid for a period of time, 3 months, 6 months, a year or even your whole life, depending on the type of insurance. Thereafter you are once again responsible for the repayment of the debt. Should all go well, and you do not need to claim from the insurance, the insurance will lapse at the final payment of the debt, and you will have nothing to show for all of the insurance premiums that you have paid. In most cases it is a better option to obtain life insurance and disability insurance, for a minimum amount of the debt that you have incurred. Most creditors are willing to accept alternative insurance, as long as it is comparable with the credit life insurance that they have put in place on your behalf. Up to date we should be at about 20 working days since your application. It is now time for your first instalment. The amount payable is calculated from your budget and takes into consideration what the creditors are expecting. As a general “rule of thumb” we will be looking at about 60% of what you used to pay. Thus, if you used to spend R10,000 per month on your debt, you will be looking at approximately R6,000. As the negotiation process proceeds, this amount is most likely to change. – your payment history – did you make arrangements in the past, and stick to them? It is very important that you know and understand that your first month’s payment is applied for the “Restructuring Fees”. This is the money that we as Debt Counsellors will receive. It is done in agreement with the Creditors and in line with the National Credit Act. There are however guidelines for the Restructuring fees. The minimum amount due is your first month’s payment, but the maximum amount is R6,000.00. So, if we make the assumption that you will be paying R3,000 per month, then the restructuring fees will also be R3,000. But if you are going to pay R30,000 per month, then the restructuring fee cannot exceed R6,000. 7. Next the Form 17.2 form is sent to the creditors. This is the form that we use to indicate to the creditors that we have assessed your situation and we are willing to commit ourselves to help you to become debt free. The Proposals are also now sent to the Creditors. This is where we offer an amount to the creditors in terms of your outstanding account. We negotiate in terms of the monthly payment, as well as the interest rate. The creditors usually answer with a “Counter Proposal” in which they request a higher monthly payment as well as a higher interest rate. We answer back again with a Follow up Proposal and they in return with a new Counter Offer. This process may repeat itself up to 3 times. Together with the proposals, we send your insurance documents to the creditors. It is very important that you provide us with any insurance documents that you may have in your possession, whether vehicle insurance, building insurance or life insurance. If we cannot provide insurance documents to the creditors, they are entitled to levy credit life protection on the outstanding accounts, the cost of which you will have to bear. At the end of the Proposal phase, the Creditor issues an Acceptance Letter. This is written confirmation, on their Letterhead and signed, what the negotiations are. By this time, another month has passed and your second payment is due. This payment is applied for the Legal Fees associated with the application. Depending on where you live and work, the jurisdiction of the court will be determined and then an attorney will be appointed to handle the case. We finalise the Negotiation process with a Court Application. Please to be intimidated by this statement, it does not need to frighten you by any means. We take all of the documents that we have accumulated up to now, and bind them together into an application. We ask you for a sworn affidavit, stating that you applied for Debt Review of you own free will and we ask you to sign the computerised application forms… then you are done. You are more than welcome to attend Court when the application is brought, but usually this remains quite uneventful. The reason why we prefer finalising the process with a court order, is to protect you from the creditors trying to amend the agreements again afterwards. In general we try to get you debt free within 60 months or 5 years. When an account is settled, we are notified by die Payment Distribution Agency (PDA). According to the National Credit Act, the accounts that are settled have to be closed, so that no additional fees and costs can be incurred. As your accounts are settled, your monthly payment amount remains fixed. The available funds are then distributed between the rest of your creditors. This is called the Cascading Payment Effect. For your benefit, there usually is no yearly increase involved in Debt Review. 14. Should something happen that puts you in a position where you have a little extra funds available to pay on your debt, you are more than welcome to do so. This clearance certificate is sent to the National Credit Regulator (NCR) to prove to them that you are truly “Debt-free”. You Credit Status will be changed and there will be no tract that you have been under Debt Review. Your Credit Record will be clean. Should there be previous judgements against your name, we can be of assistance to help you to settle those debts as well and then to clean your record. Unfortunately judgements and the cleaning thereof is usually done by an attorney, and there may be additional costs involved. The NCR usually update their systems every 2 months, or 60 days, so that your new credit rating will be visible. In the meantime, you will receive a copy of your clearance certificate, as proof that you are debt free. Now, at last, the day has arrived where your monthly salary is yours, and yours alone… you do not have to make any more payments for debt. The best advice that we can offer right now… You can escape from your current financial position. There is still hope at the end of the day, and you can still have a bright future. Keep the faith, and never give up… we are here to help. Happy clients are at work more regularly; earn more, pay debt faster and will stay with the credit provider for many years to come.